-- Select a Size/Color -- 5/8" - Out of Stock! 1" - Out of Stock! Get the party started with this dynamic dog leash! Super tough, fade-resistant, recycled poly/canvas. 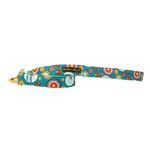 The Martini Dog Leash in Blue is part of the newest collection of dog collars and leashes from WaLk-e-Woo. Every leash is made by our neighbors right here in Colorado! This leash for dogs features an exclusive design printed on super tough, fade-resistant, recycled poly/canvas. Each leash has extra-reinforced nylon stitching. 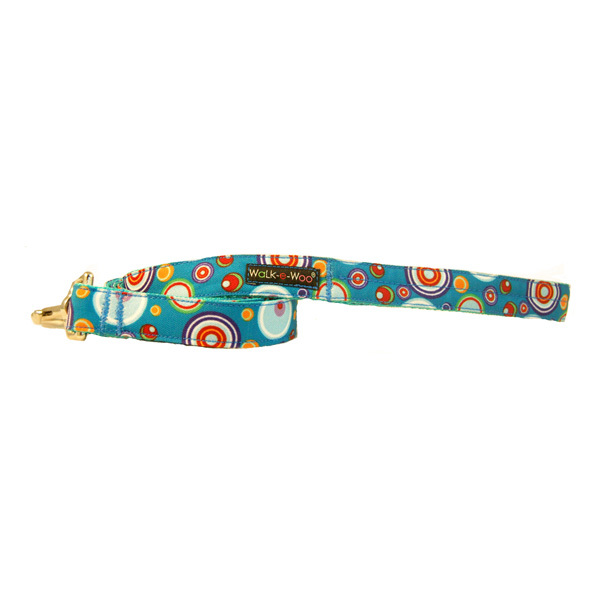 Your fun-loving pup will drool all over this stylish leash! Look for the matching WaLk-e-Woo Martini Dog Collar (sold separately). Very difficult to find the right size as each brand runs differently. I have returned dog coats three times. Now the one I hope will fit is not in stock. Returns are expensive .Quality of items was good however.